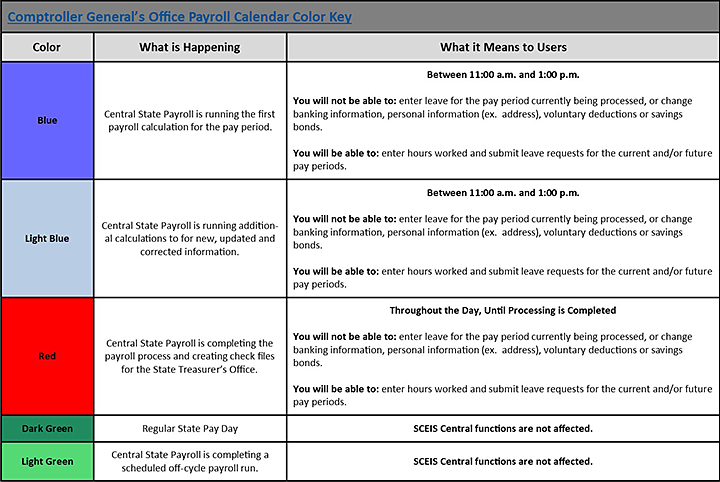 The Comptroller General's Office Central State Payroll must complete a series of steps to prepare each payroll for State employees. During some of these steps some MySCEmployee functions in My Pay and My Personal Information are not available. 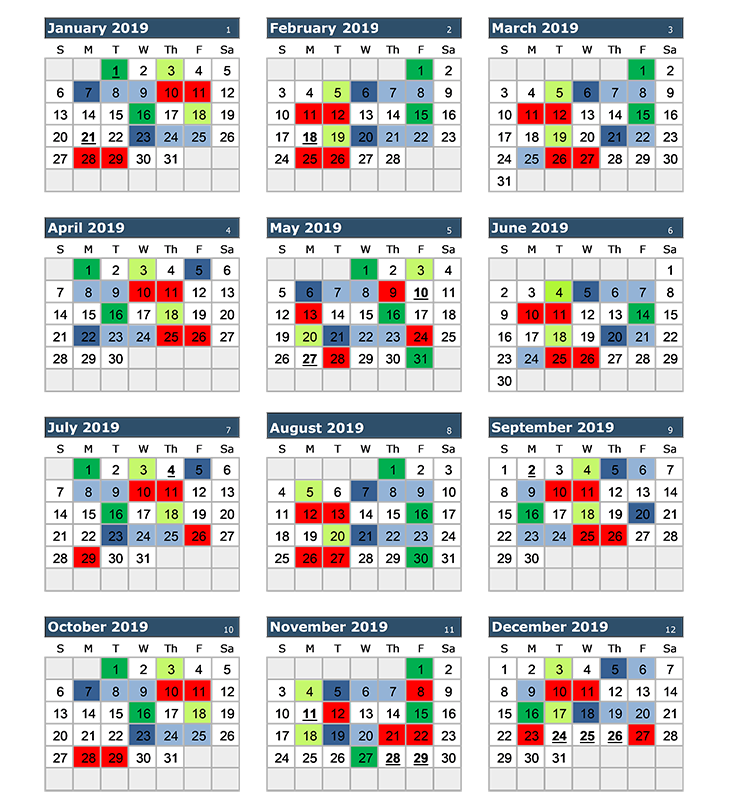 Review the chart and calendars below to learn how your access may be different on various days throughout the year.